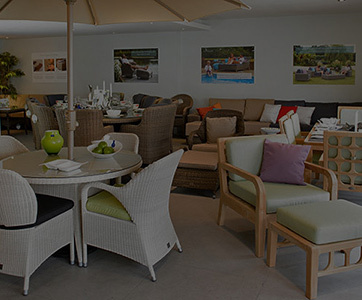 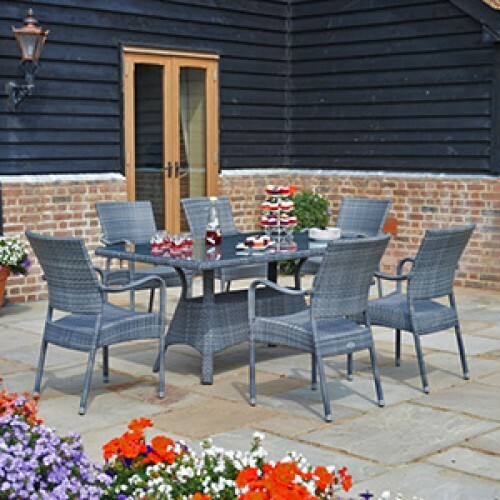 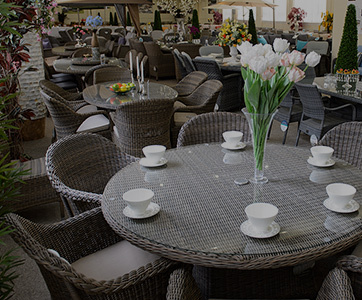 An excellent high quality garden furniture set, from our exclusive All Seasons ranges, the set is particularly useful where there is limited space and is the perfect way to dine outside in real style. 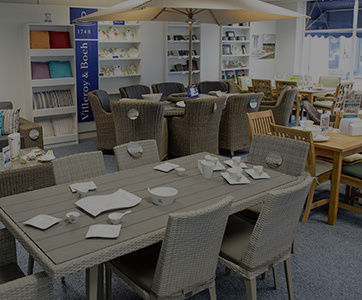 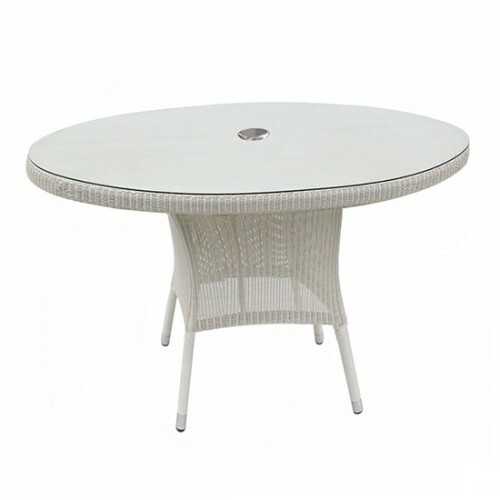 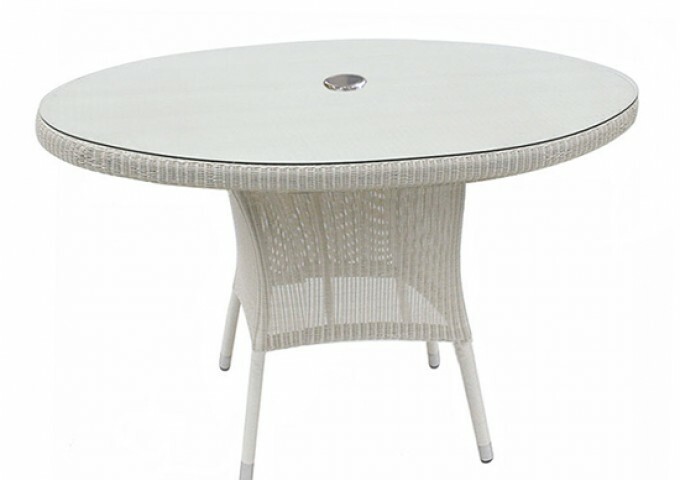 The set is made up of one 120cm Round Table, supplied with safety glass & four Sussex Dining Chairs. 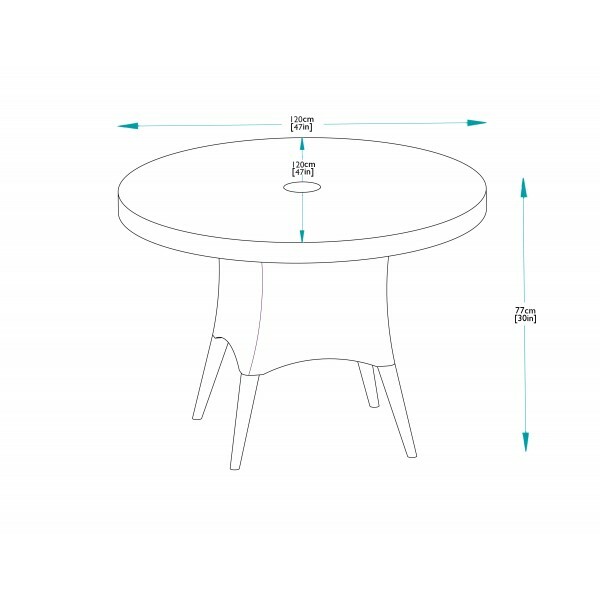 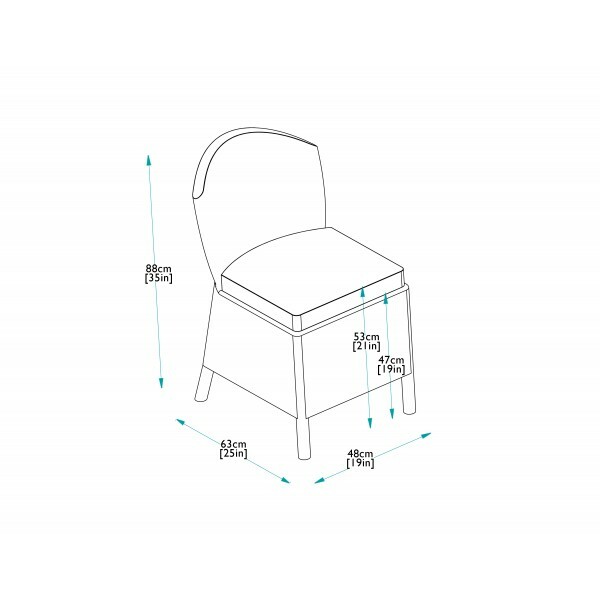 The table has enough room to accommodate two extra dining chairs if required. 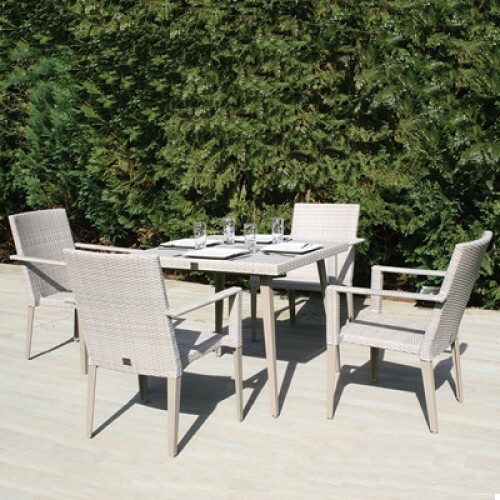 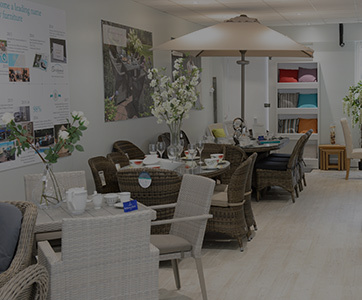 The table will look lovely on any patio or balcony, with the stylish dining chairs offering good levels of comfort whilst enjoying the outdoor dining experience. 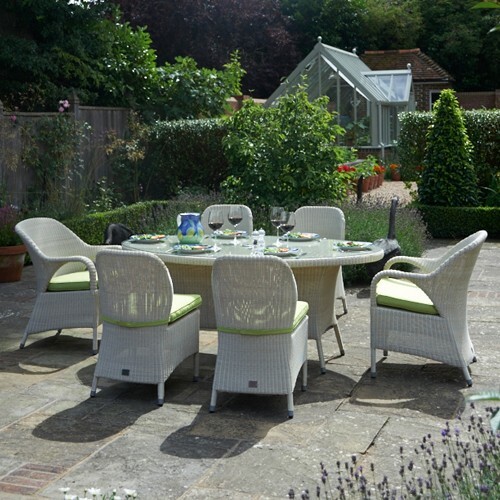 The dining chairs are supplied with standard cushions in a choice of Black or Lime Green fabrics. 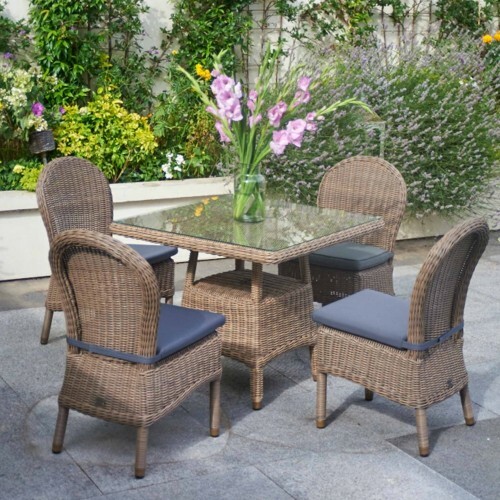 Alternatively upgrade to fully waterproof pistachio cushions that can remain outside in wet weather. 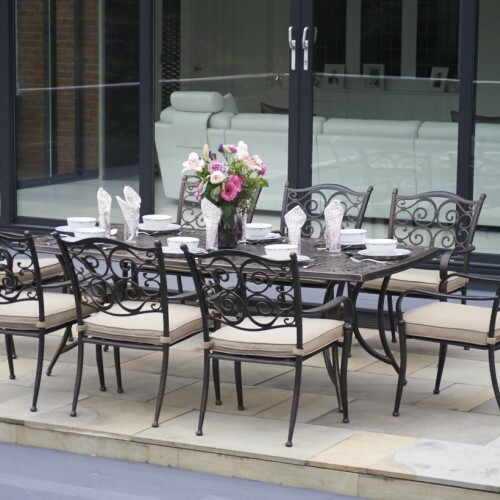 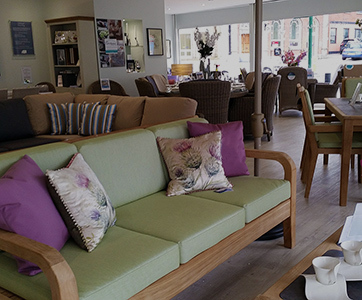 The furniture is built to last, is totally weatherproof and most importantly comes with our 10 year guarantee. 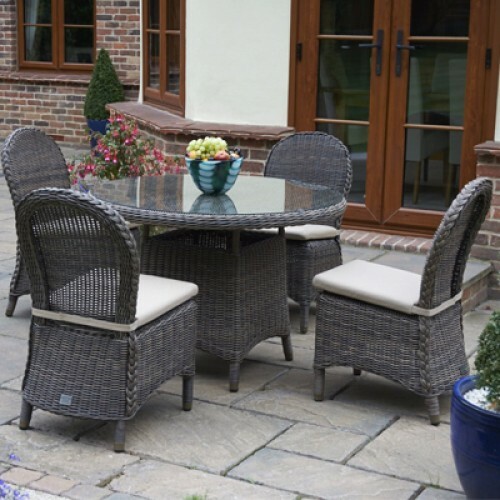 The all weather rattan weave does not fade or deteriorate and only needs an occasional clean to keep it looking like new.